Turkish Pide Pizza With Meat And Cheese, Home Made. Top View. Royalty Free Stok Fotoğraf, Resimler, Görseller Ve Stok Fotoğrafçılık. Image 68746949. 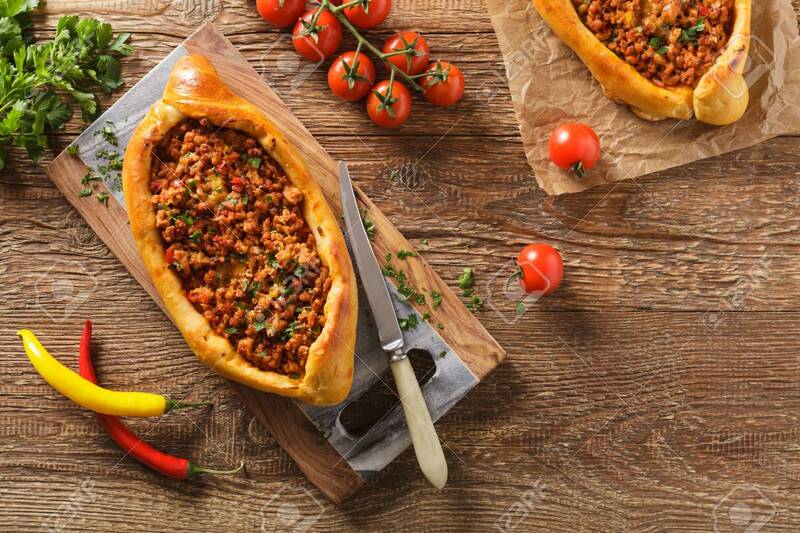 Stok Fotoğraf - Turkish pide pizza with meat and cheese, home made. Top view. Turkish pide pizza with meat and cheese, home made. Top view.